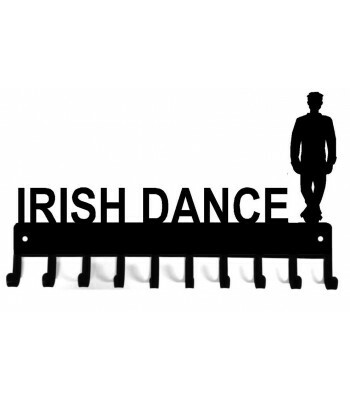 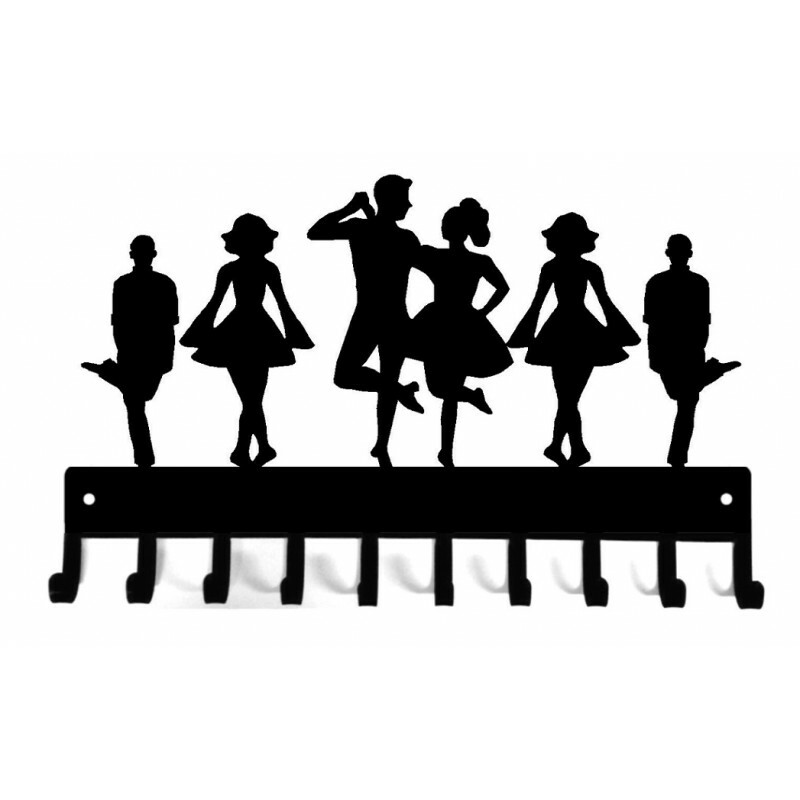 Fabulous Irish Dance Medal Hanger with 6 dancing figures, male and female. 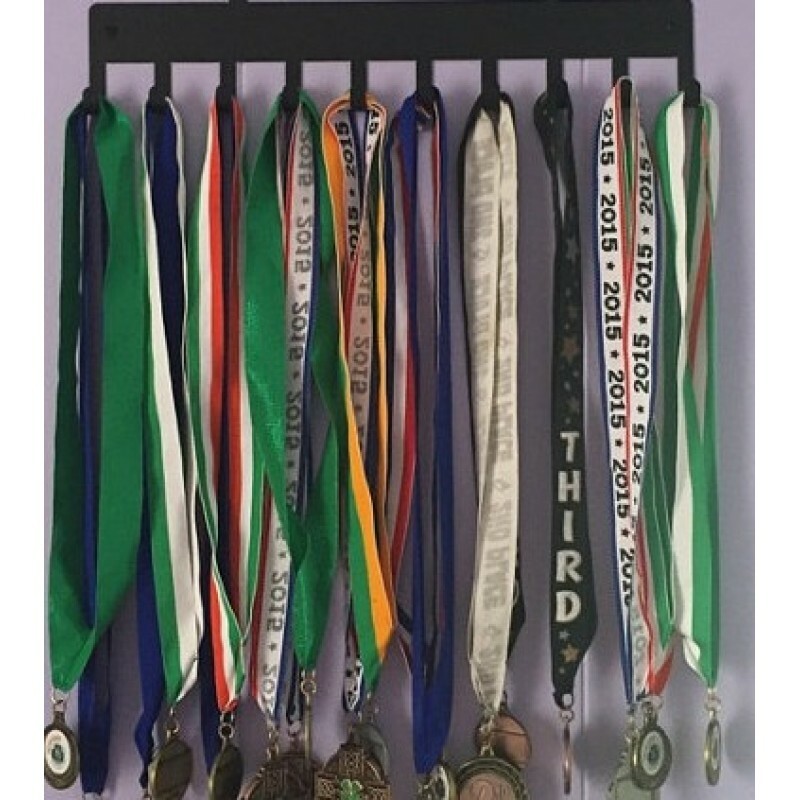 Display ribbons & awards, or use for items like belts and ties. 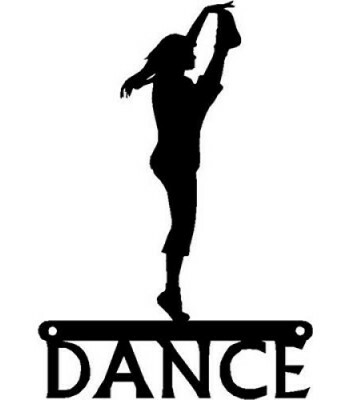 Great studio decor or for the bedroom wall. 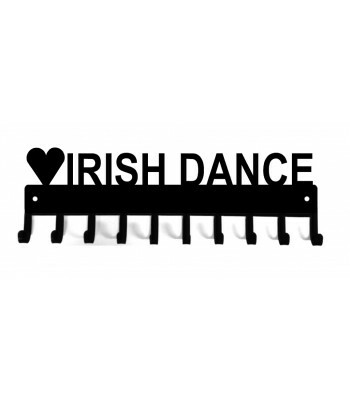 Size: 15 inch wide, approx 10 inch high, with 10 hooks.